Thaumatin comes from the Katemfe Fruit which is native to Sudan and West Africa. It is a protein and is an astonishing 2,000 sweeter than sugar,making it the most potent natural sweetener. It's flavour is somewhat different to sugar and it has a slight licorice aftertaste. It also works very well as a flavour modifier and flavour enhancer. When used in very tiny amounts it seems to bring out the flavours in foods. It is heat stable and so is suitable for cooking and for processed foods. Zero glycemic index. Very sweet. Not harmful to teeth. Very suitable for diabetics. It is a natural product. However it is not usually used as a sweetener on its own. No concerns known. Only tiny amounts ingested and the body is able to metabolize it like any other protein. It is produced form wild Katemfe Fruit collected by locals from the rainforests of West Africa. It is water extracted in a process that is said to be 100% natural. Not sold on its own but usually as an ingredient to manufacturers of processed foods. Talin is the brand name for one source. Has been used for centuries by native of West Africa to sweeten food. Appears to work well with Stevia to improve flavour and sweetness. Also helps to improve flavor of salt and sodium reduced foods. Approved GRAS in the United States. Approved as E957 in the EU. 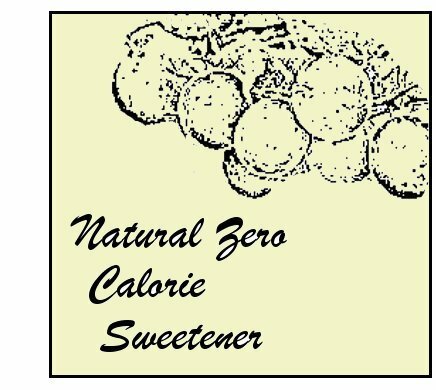 Excellent natural zero calorie sweetener and flavor enhancer. No side effects. Not well known as it is used more as a flavor enhancer than a sweetener.